The perfect bridge-position companion to the '57 Classic, the '57 Classic Plus mimics those late-1950s humbuckers that received a few extra turns of wire. This treatment gave the pickup slighter higher output without sacrificing its rich, vintage tone. It helps overdrive tube preamps to a smooth level of saturation without becoming overpowering. Made with the same features as the '57 Classic, the '57 Classic Plus is available with genuine gold-plated covers, nickel-plated covers, or open coils. A quiet stacked humbucker with high-output. The Seymour Duncan STK-S9 Hot Stack Plus Guitar Pickup has a Patented Stack Plus design that has a higher output than the Classic Stack Plus. This revolutionary design injects tunable negative hum into the pickup circuit. Each pickup is factory pre-tuned to cancel the most hum possible. The Hot Stack Plus is recommended for country, pop, blues, classic rock, and heavy rock. Use a Hot Stack Plus in the bridge position with the Classic version in the neck and middle for a versatile, hum-free setup. Three-conductor cable allows splitting for true single-coil mode. When all three Stack Plus pickups are split, the middle pickup is reverse-wound/reverse-polarity, allowing hum-cancelation when used with the neck or bridge pickup. 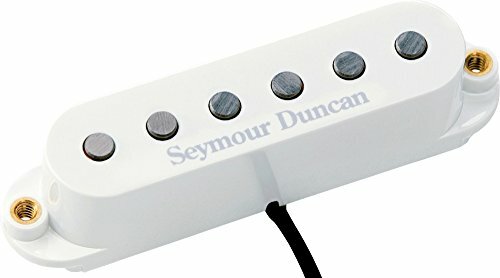 The Seymour Duncan pickup is designed for all well-balanced instruments and works equally well with maple and rosewood fingerboards. For guitarists who want an extra touch of style, the standard Stratocaster plus top delivers standard series quality and affordability with the added elegance of a beautifully figured flame maple top. All the great style, versatile tone, and excellent value of the standard Stratocaster are here, with a great combination of traditional design, contemporary features and a refined look-all available to Stratocaster players everywhere at every level. Epiphone honors the historic SG, one of the most original designs in rock, with the G-400 PRO, which now features Alnico Classic PRO pickups and push/pull coil-tapping. The original SG not only rivaled guitars of its own era for sonic variety but also proved to be a sign of things to come. A stacked humbucker with a bluesy voice that cleans up nicely. The Seymour Duncan STK-S6 Custom Stack Plus Guitar Pickup features a patented Stack Plus design with a voice familiar to the SSL-5 Custom. It is recommended for blues, rock, pop, and classic rock. The STK-S6R has a revolutionary design that injects tunable negative hum into the pickup circuit. Each stacked humbucker pickup is individually factory pre-tuned to offer the optimal traditional single coil sound with no hum. 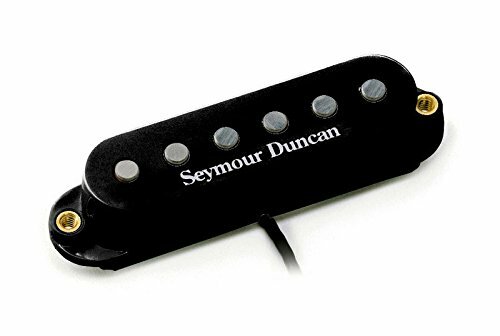 Use this Seymour Duncan pickup in the bridge position with a Duncan Classic Stack Plus middle and a Duncan Vintage Hot Stack Plus neck for a punched up Strat tone, or in the neck with a Duncan Hot Stack Plus bridge for the ultimate rock Strat. 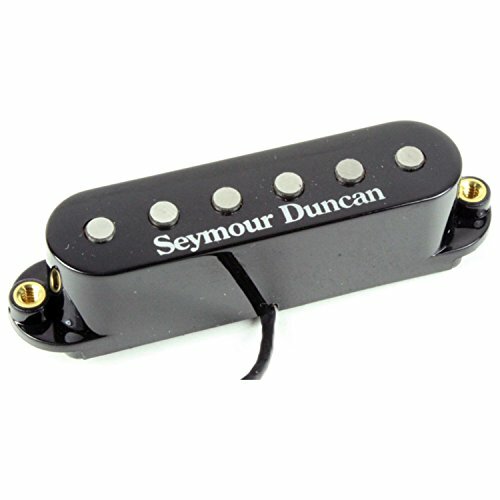 This Seymour Duncan pickup is ideal for all well-balanced instruments. Works equally well for guitars with maple or rosewood fingerboards. A three-conductor cable allows splitting for true single-coil mode. When three Stack Plus guitar pickups are all split, the middle pickup is reverse wound/reverse polarity, allowing hum-cancellation when used with the neck or bridge pickup. 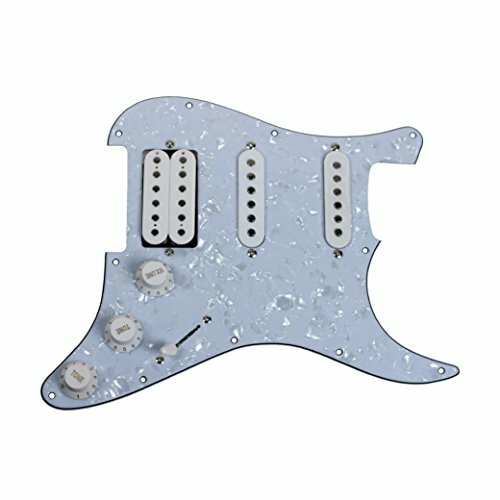 White Tortoiseshell Loaded Pickguard Strat Style Guitar - Model: SAGA53, Loaded Pickguard Makes Wiring Easy, Two Single Coil Pickups One Humbucker Pickup, Five Way Switch, One Volume and Two Tone Controls. The Seismic Audio White Tortoiseshell Loaded Pickguard is the easiest way to upgrade electronics on a Strat style guitar. Simply solder to output jack, ground to the bridge, screw into place, and the job is done. The white tortoiseshell will provide an instant stage-ready look of your guitar and the Seismic Audio pickups will provide a classic Strat style sound, plus a humbucker in the bridge position for the ultimate in tonal variety. The Seymour Duncan STK-S7 Vintage Hot Stack Plus has a patented Stack Plus design with an overwound vintage tone, slightly hotter than the Classic Stack Plus. This revolutionary design injects tunable negative hum into the pickup circuit. 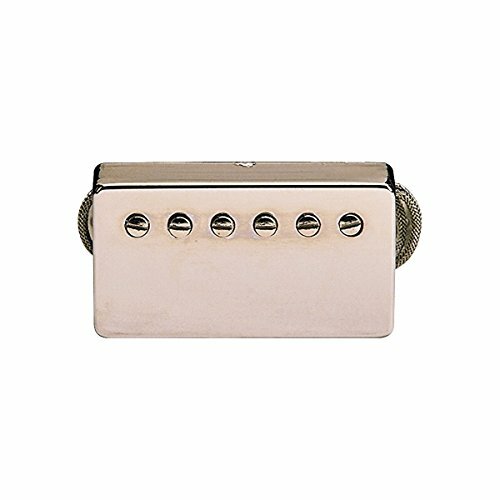 Each stacked humbucker pickup is individually factory pre-tuned to offer the optimal traditional single-coil sound with no hum.The Vintage Hot Stack Plus is recommended for blues, rock, pop, and classic rock. Use in the bridge with a Classic Stack Plus middle and Vintage Hot Stack Plus neck for a punched up Strat tone, or in the neck with a Hot Stack Plus bridge for the ultimate rock Strat. Three-conductor cable allows splitting for true single-coil mode. When three Stack Plus pickups are all split, the middle pickup is reverse-wound/reverse-polarity allowing hum-cancellation when used with the neck or bridge pickup. The Seymour Duncan Vintage Hot stack Plus is designed for all well-balanced instruments and works equally well with maple and rosewood fingerboards.. 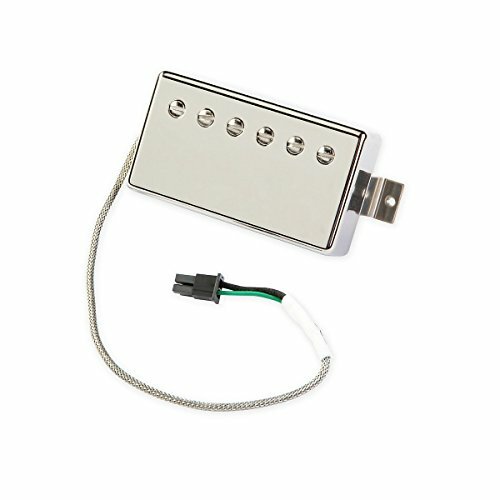 Compare prices on Classic Plus Humbucker Pickup Bridge at ShopPlanetUp.com – use promo codes and coupons for best offers and deals. We work hard to get you amazing deals and collect all available offers online and represent it in one place for the customers. Now our visitors can leverage benefits of big brands and heavy discounts available for that day and for famous brands.